If this rumor seems like it's coming out of left field, it is, and we should treat it as such. Ain't It Cool News, which hasn't really been much of a factor over the last few years, is reporting that Marvel wants Guy Ritchie to direct a Captain Britain movie, which I guess makes since given the whole U.K. thing. The film would be titled Captain Britain and the Black Knight because this is looking to be a teamup movie. A source has told the site that space has been booked at Pinewood Studios for November and December for Marvel to hold auditions for the movie. The director whose name is attached for that booking is Guy Ritchie. Apparently that was the time previously set aside for Danny Boyle's Bond 25, and is now available since that film has gone back to the drawing board. If you don't know Captain Britain, his name is Brian Braddock and he was gifted with incredible powers by the wizard Merlyn and his daughter Roma who is an "Omniversal Guardian", meaning she guards the multiverse or something. I can't remember. Braddock must use his powers to protect Britain, and in some stories his powers only worked when he was within its borders. 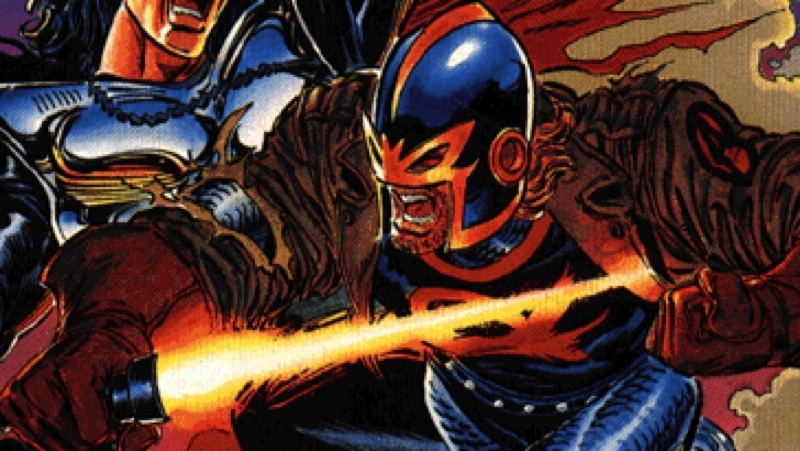 He's also the older brother to the X-Man known as Psylocke, and led the X-spinoff team Excalibur, which was my favorite book during the Alan Moore run. There have been multiple characters known as the Black Knight but the most prominent is Dane Whitman, who carries the cursed Ebony Blade. The sword has been passed down through generations since the days of King Arthur, but Whitman has decided to use it for good, although the weapon compels him to do otherwise at times. Definitely take this with some salt. It's possible Marvel is looking to fill the gap left behind by Guardians of the Galaxy Vol. 3, and have moved up some projects that were scheduled for later. But this seems dubious at best and I have my doubts it's true.